Natural, organic and skin-friendly. That’s how we describe Parinaz Irani’s homegrown chemical-free hair and skincare brand, AromaFairy that designs and customises products according to skin types and client requirements, at an affordable price. It’s time you stop spending big bucks on those chemically-infused commercial beauty products. Go natural with AromaFairy and give your skin the organic treatment it deserves. AromaFairy’s homemade products not only does good to your skin, but is very easy on the pockets. Starting at INR 200, Parinaz’s eco-friendly creations are to die for. Need to get rid of black circles and wrinkles under your eye? We highly recommend you to try the Miracle Under-Eye Gel, made of fresh aloe vera and essential oils sans chemical agents. Priced at INR 250, this natural formula hydrates and boosts blood circulation under the eye, and relieves you of puffiness, fine lines, wrinkles and dark spots. Did you know activated charcoal is a natural cleansing agent for your skin? Suitable for all skin types, the Charcoal Cleanse Purifying Scrub Mask for INR 500 combines the goodness of charcoal with naturally hydrating ingredients like licorice, turmeric and more. If you’re looking for something natural and organic to nourish and de-tan your body, this is the product for you! Another product that we used and loved by AromaFairy is the Soothing Neem Anti-Acne Mask for INR 300. A mixture of neem, basil and mint, this cream works like magic on those acne, pimples, heat rashes and scars. Do a favour to your pretty long hair, and give AromaFairy’s Elixir Oil a try. With a pocket pinch of only INR 400, this organic blend of cold pressed virgin oils, herbs and spices, treats hair fall and dandruff, strengthens hair follicles and provides shine and volume. 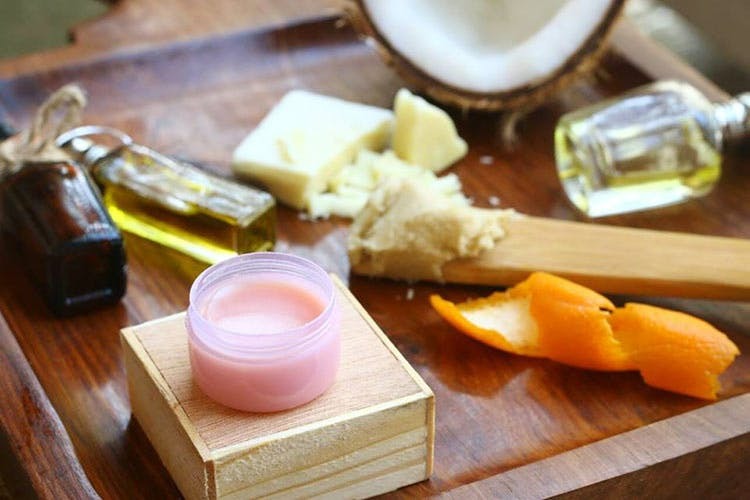 AromaFairy’s unique and customised facials done with natural cold pressed oils are a must try. Priced between 1,500 and INR 4,000, this organic therapy is the ultimate skin rejuvenation you were looking for. Take a step towards a chemical-free skincare treatment with AromaFairy. These products are carefully created to suit your skin and hair, and are definitely pocket-friendly. Let your skin breathe, finally!